Along with Guggenheim, producer/director James Tucker, lead character designer Phil Bourassa and SVP, Creative Affairs for WB Animation Peter Girardi provide some insight on where Vixen fits in the 'Arrowverse,' what advantages animation gives the storytelling and what she's trying to overcome in the series. Guggenheim calls 'Vixen' essentially their "fourth show." The real treat of course is all the never-before-seen footage of Vixen in action and the appearances of Arrow and The Flash. Megalyn Echikunwoke provides the voice of Vixen/Mari McCabe with Stephen Amell (Arrow/Oliver Queen), Grant Gustin (The Flash/Barry Allen),Emily Bett Rickards (Felicity) and Carlos Valdes (Cisco) reprising their live-action roles by voicing their animated counterparts. 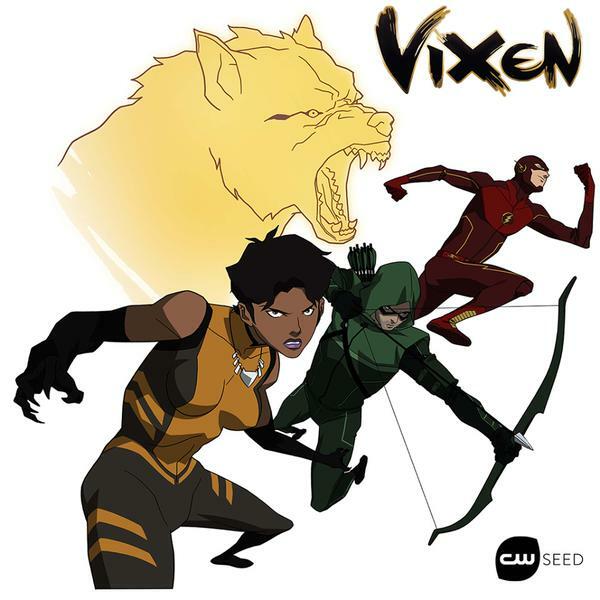 'Vixen' is scheduled to debut Aug. 25 on CWSeed.com and the CW Seed app.